You can create a great storyboard for your video production using generic storyboard art as placeholders in the frame. It’s quick and easy! Sometimes that’s all you need …especially if your boards are ‘shooting boards’ for you and the crew. But if you’re presenting to a client or pitching a concept to a producer, you may need to get more specific with that little extra umph. 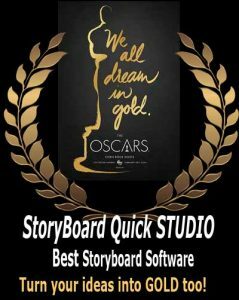 So that’s why we have optional storyboard art add-ons for all of our storyboard software apps. The art come in a variety of styles, some included and some additional to add to your projects. Digital photos are great for locations but if you don’t have the exact location on your phone, check out our Ultimate storyboard locations. 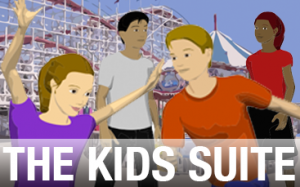 Looking for more kids? Check out our popular Kids Suite. It includes characters, props and locations. That’s why we call it a suite. It’s many libraries in a whole new toolbar. 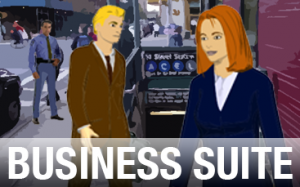 The Business Suite is perfect for your corporate videos for both Quick and Artist. More variety of characters are also available. From hipsters to sitcom characters to families. Check them out on our site. Need more Props, we have those too for commercial directors that specialize in table top and other closeup work. Finally, don’t see what you’re looking for? Click to chat with us and see if we can help. Our pre-vis video production experts love helping you with your projects.